After travelling by car on narrow and sinuous roads, you suddenly arrive in a splendid region. 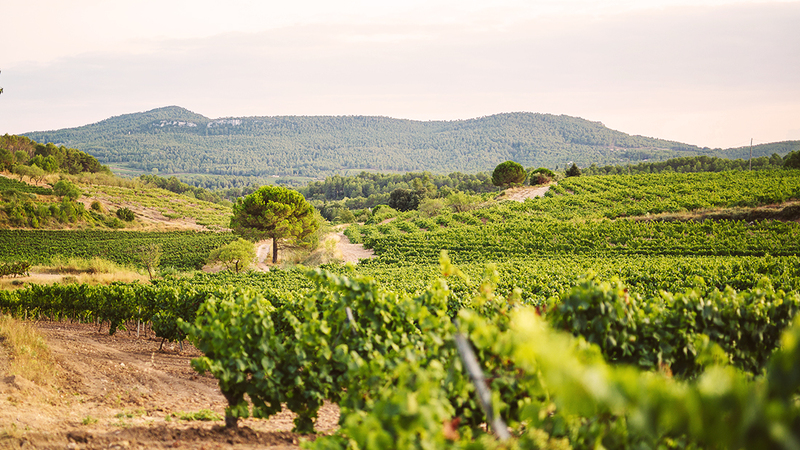 Pla de Manlleu is located at an altitude of between 500 and 800 metres and is the highest part of the Penedès region. This area is a vast natural reserve covering around 12,000 hectares of forest and 450 of vineyards. This wild and rural territory is not only a magnificent region; it also enjoys a unique microclimate. Summers are considerably cooler and it can even snow in winter. This microclimate has a special effect on the Parellada grapes that grow in much of this region. This grape grows more slowly and is harvested later, giving it a very special flavour and texture. The region’s winegrowers have united to set strict standards and rules in terms of quality and ecology. The ‘Raïm 500’ project, also called ‘Zona +500’, has the goal of cultivating unique grape varieties, applying the utmost quality and using innovative agricultural techniques. In Gran Barón they quickly found a partner for this unique project. Gran Barón products are made from Parellada grapes grown in this area, giving the product its enhanced quality.